Pork belly is one of the greatest cuts. As my son would say, “we are not having pork…we are having piggy wiggy”. So this is a magnificent way to prepare this fatty meat. I must confess that I have drawn on references from several chefs to create this dish. A while ago I received a gift from Chef Daniel Humm. It was a copy of his cookbook Eleven Madison Park. On page 62, there is an incredible picture of his dish ‘Suckling Pig’. However, his dish requires 3 days (brining then cooking) and with only two days, I turned to Thomas Keller and his book Under Pressure, as he cooks sous vide belly for just 12 hours, albeit, at a slightly higher temperature than Chef Humm. For the aromatics that flavor this dish, I drew on my experience working with the Chef owner of The Pantry in Harrogate England. 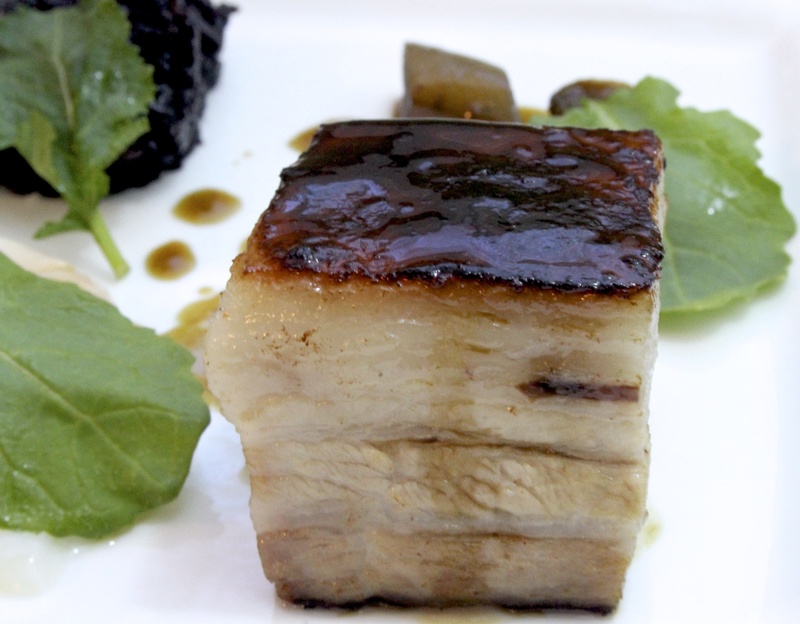 Chef Jonathan Elvin made an amazing pork belly and it was his use of star anise that I found gave the belly a rich Asian depth. 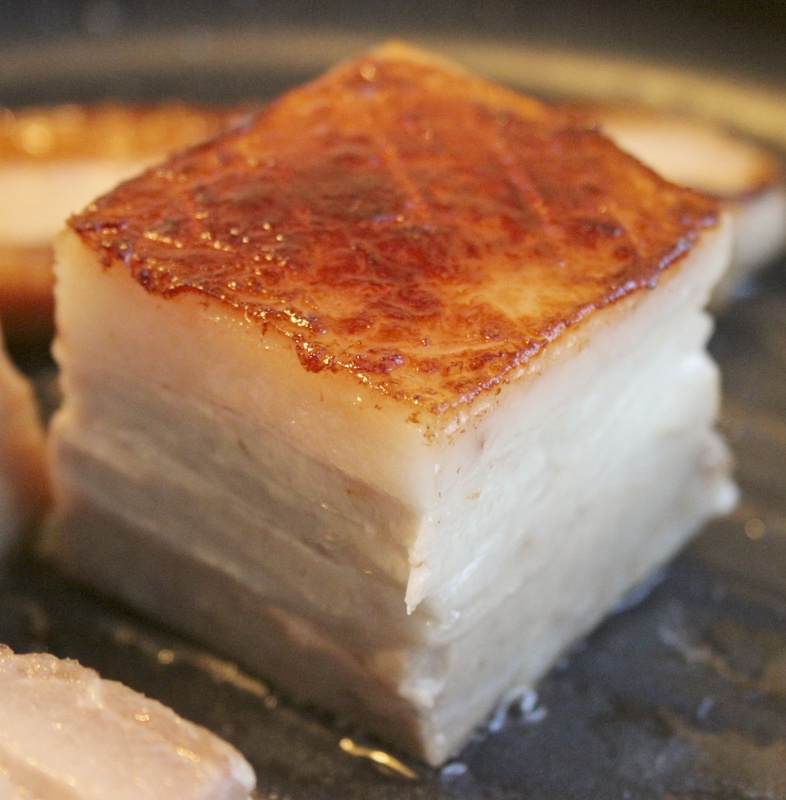 Pork belly is bloody hard to get hold of here in the US. I guess that it is so popular in its form as bacon that little is available for us foodies. So this week when I was at Guidos Market I was over the moon to find that they sell pork belly. They also had Burdock root so it was truly a great day in the Berkshires. 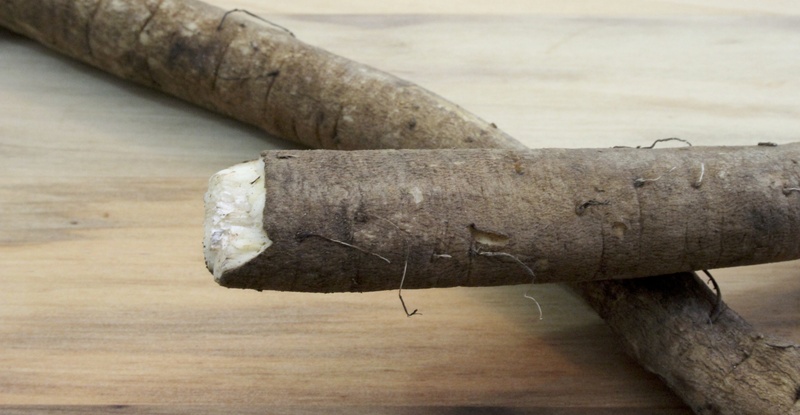 Burdock is a pretty unassuming root vegetable, Larousse Gastronomique describes it as “a hardy perennial plant growing in hedgerows”. There is a beer (drink) that is traditional in the UK and made with root. 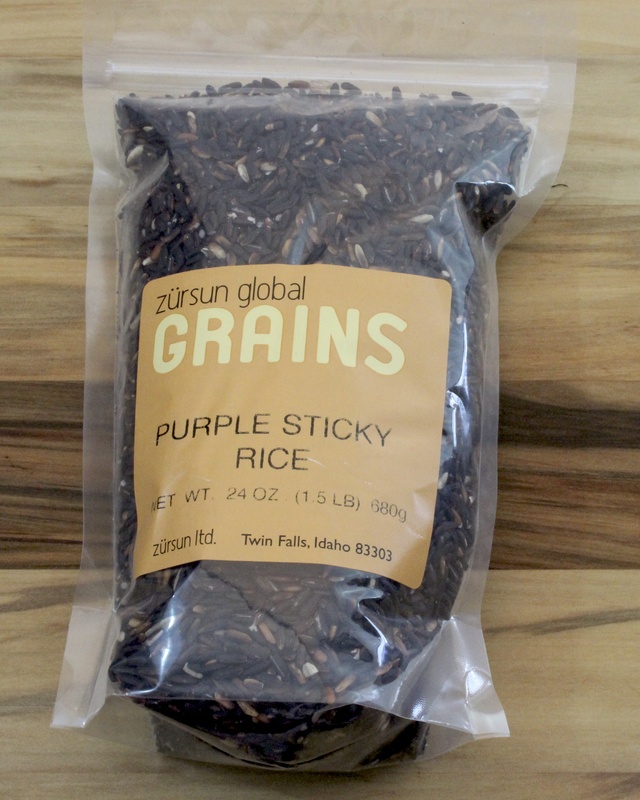 Having used this once before, I did know that it works very well with Asian inspired flavors. The first step is to brine the belly and leave it in the fridge over night. I like to do this is a vacuum bag (and so use ice instead of water) but water works well if the pork is being kept in a bowl. You can also boil up your brine to dissolve and combine, but you must then let it completely cool before adding it to the pork- so this method saves time. 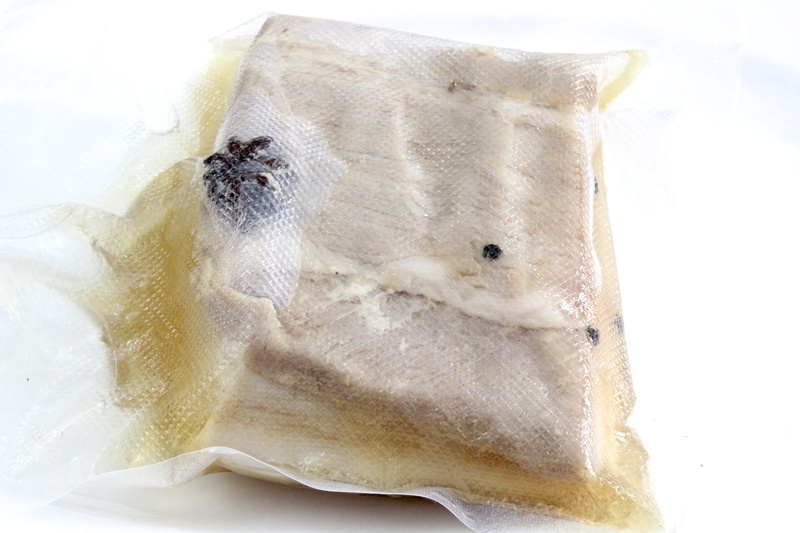 Place pork and mix in a vacuum bag then remove the air and seal. Leave in a cool place until 80% of the ice is melted then put it into your fridge for at least 12 hours but 24 hours gives great results. 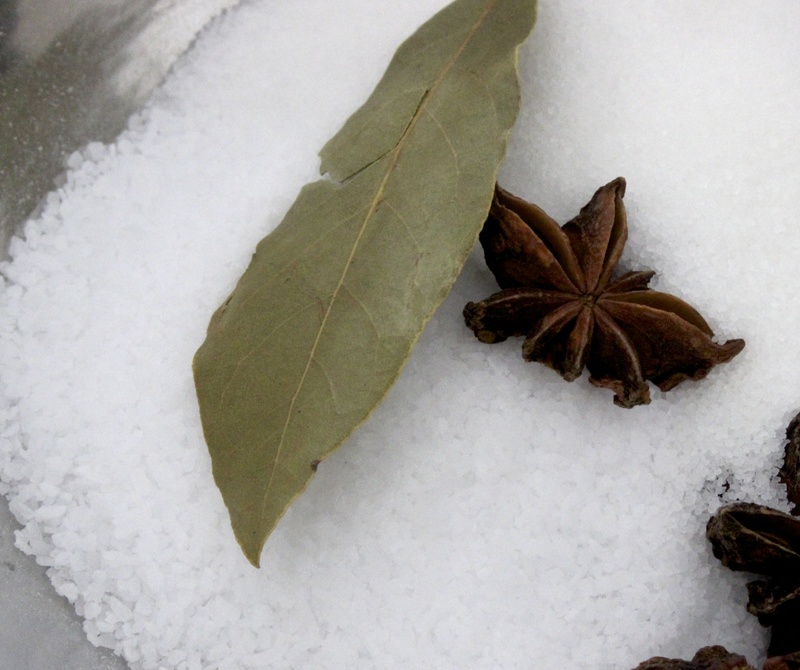 Just take care with the placement of the star anise in the bag as I found out the hard way that the sharp points can easily ruin the integrity of your bags vacuum. Rinse off the brine and the pork then dry with a paper towel. Place in a new vacuum bag with a couple of pepercorns, two fresh star anise and two tablespoons of honey (we used our Red Bee Honey). Vacuum out the air, then place in a water bath with your circulator set 82C (180f) for 12 hours. Remove from the bath and then let rest for 20 minutes. 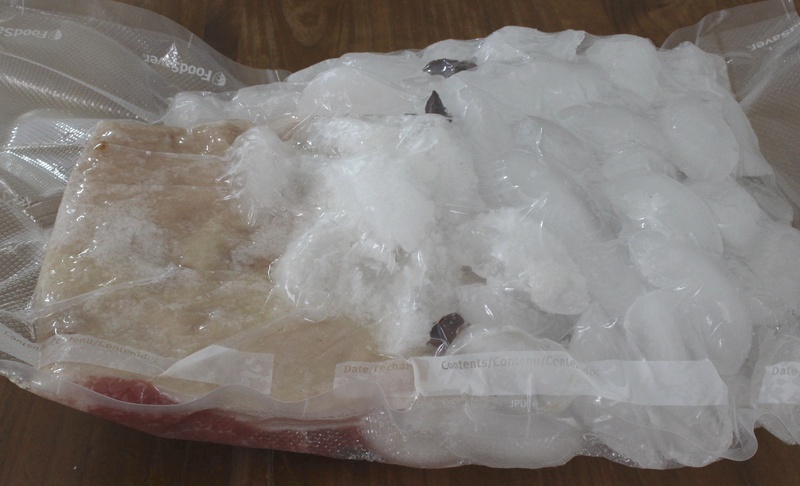 Once rested, place the bag into an ice bath and leave until completely chilled. Carefully remove the jelly. This is so delicious that we had to stop ourselves from eating it all there and then as we wanted to use it in the sauce that was braising the burdock. Then, with a sharp knife, trim the belly and cut into portion blocks. You can also remove the skin at this stage, we kept it and loved its final flavor and texture. 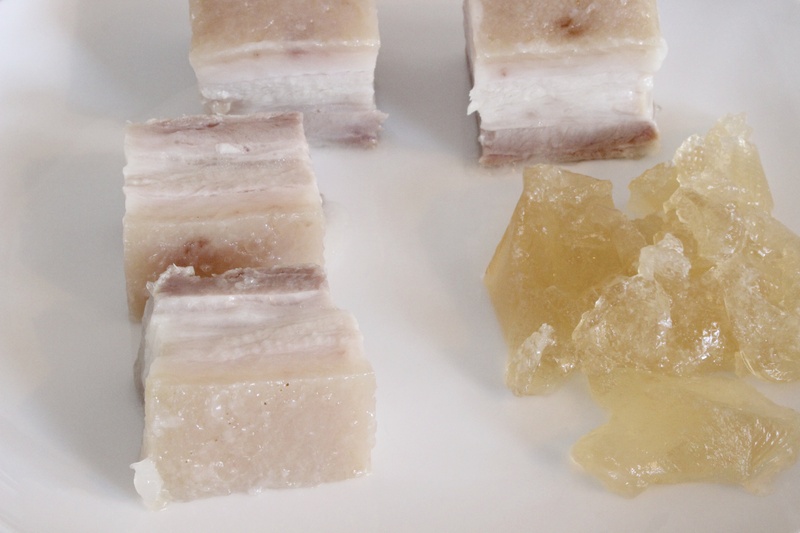 The jelly was added to the burdock which was braising in a mixture of chicken stock, soy and star anise. Place the belly skin side down in a pan over a moderate heat and cook until browned turning regularly. Today we found this interesting sticky rice and so whilst the “piggy wiggy” was browning, we cooked our rice (2 parts water to 1 part rice and a pinch of salt). The belly takes on a beautiful golden brown color. 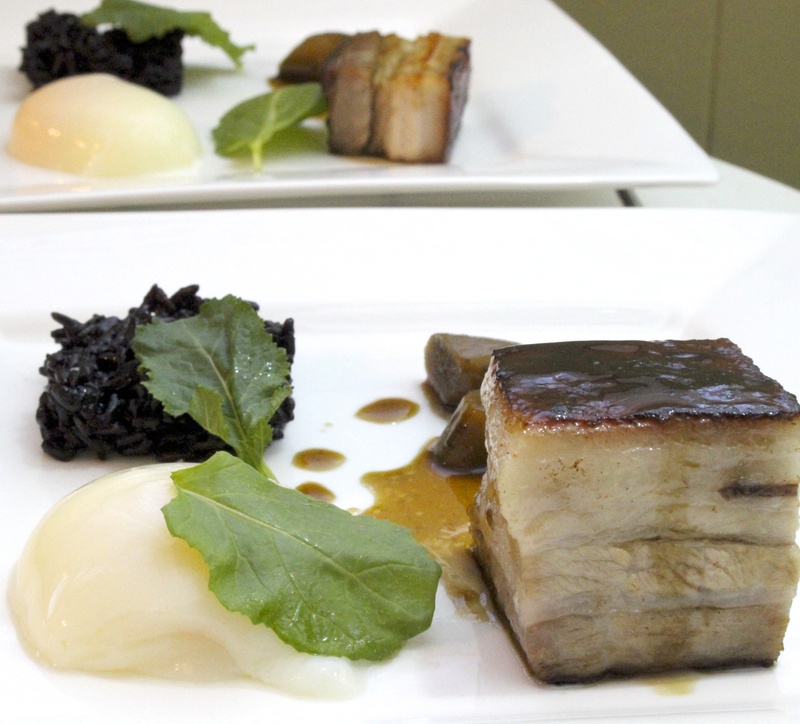 As the Burdock liquid reduces down, use a little by spooning over the pork in the final minute of cooking. 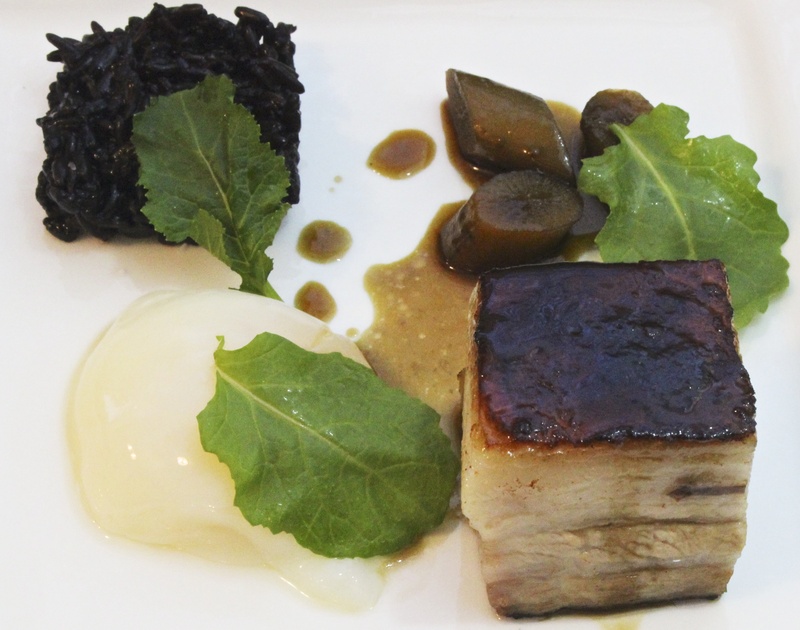 We had our belly with a slow cooked egg (see a previous Blog ), the stick rice, burdock root and a few baby kale leaves. Our four and six year old practically licked their plates clean so I guess this will be on our menu again.